The Tampa Bay Lightning equalled the NHL record for most wins during the regular season. 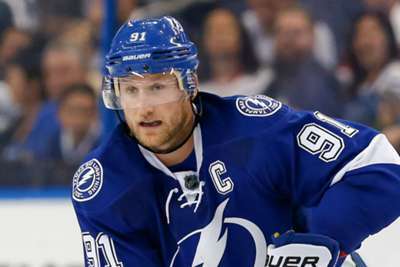 Tampa Bay tied the feat following Saturday's 6-3 victory against the Boston Bruins. The Lightning now have 62 wins to level the 1995-96 Detroit Red Wings team, leaving many wondering if this is the best regular-season side in the league's history. The Lightning have also tallied 325 goals this season – the most of any franchise since 1995-96, while they have managed the most multi-goal comebacks – 136 – to eclipse the NHL's previous high set in 2006-07. Tampa Bay, meanwhile, are the first team in history to record at least 30 home wins (32-7-2) and 30 road wins (30-9-2) in a season.